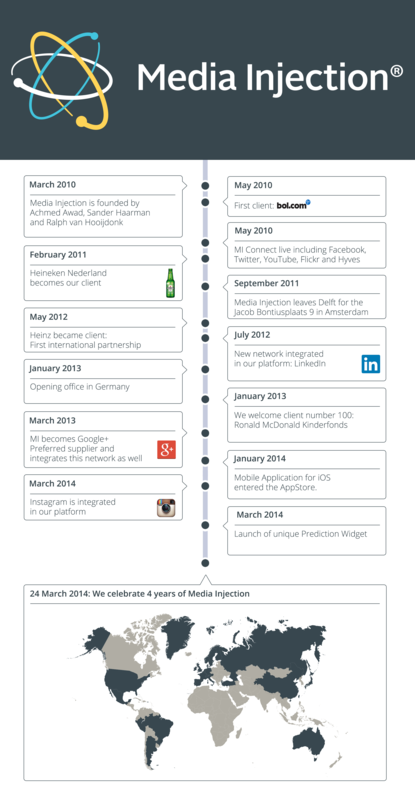 We celebrate 4 years of Media Injection! Amsterdam, 5 March 2014 – Media Injection introduces a new method for analysis. 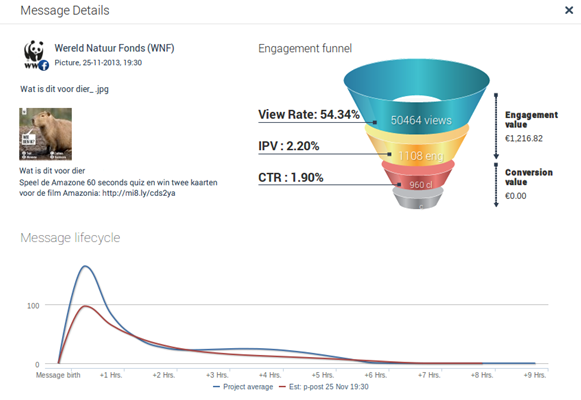 This ‘prediction widget’, part of the social media metrics & management platform of the software producer, is able to predict how new posts will act in the future based on past results: who will they be reaching, when they will be peaking and possibly when they will be revived. In short, this widget maps both the success rates and life cycles of the messages. With this information companies can further improve their social media marketing strategy.